Kalash valley is the unique for its culture known as “the wearer of Black robes” remaining the minority of approximately 3500 people living in three isolated valleys. 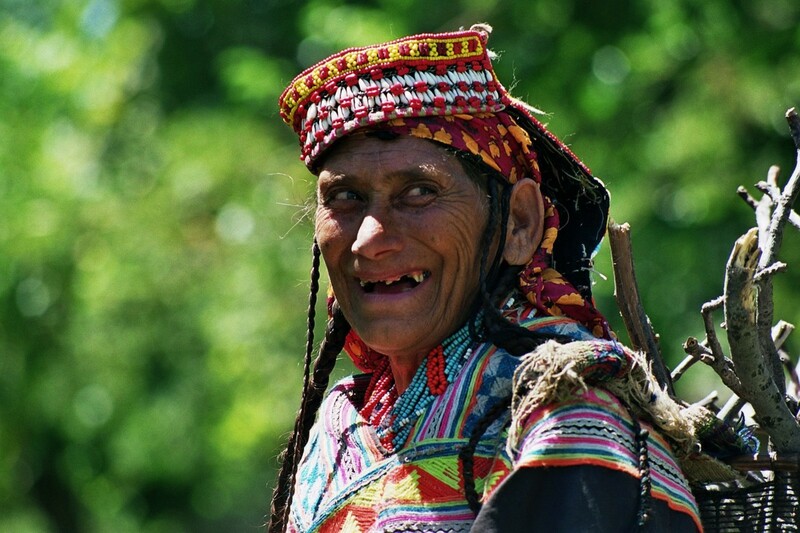 The strikingly attractive kalashi women and girls wear traditional black dress which they themselves embroider brilliant colors and hang enormous numbers of colorful bedded necklaces around their necks. Hunza valley the natural beauty, the Hunza Valley is the central piece of Karakoram. Karimabad is the only town, where you view the five famous peaks Rakaposhi 7788m, Golden peak 7027m Diran 7256m Ulter I 7388m and Ulter II 7310m and many below. Hunza Valley famous for their long life, due to simple diet and less stress. People of Hunza are very friendly and cheerfully.